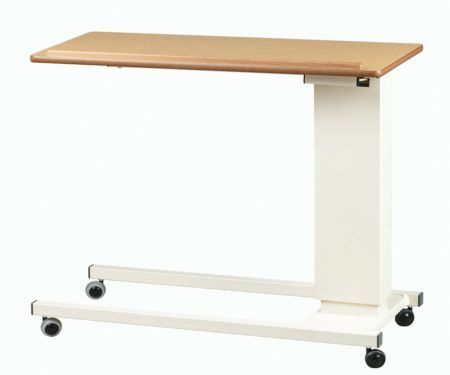 This functional, heavy-duty overbed/chair table is ideal for the healthcare environment, especially for hospitals, nursing and residential care home use. The sturdy, light oak laminated tabletop has a raised edge to prevent items from rolling or falling off. Height adjustable using the easy to use handle, allowing the table to be adjusted to the required height. Anti-trapping safety feature allows the table to raise automatically as it comes in contact with the user. Supplied with four swivel castors for ease of manoeuvrability.